I was about to say about how bloomin’ wonderful and festive the weekend has been, but HELLO Wednesday, how did that one happen. Only another 8 working days to get through now until Christmas. We can do this. So yeah, last weekend was great. I got a real Christmas tree, decorated it, went to London and even had a snow day. 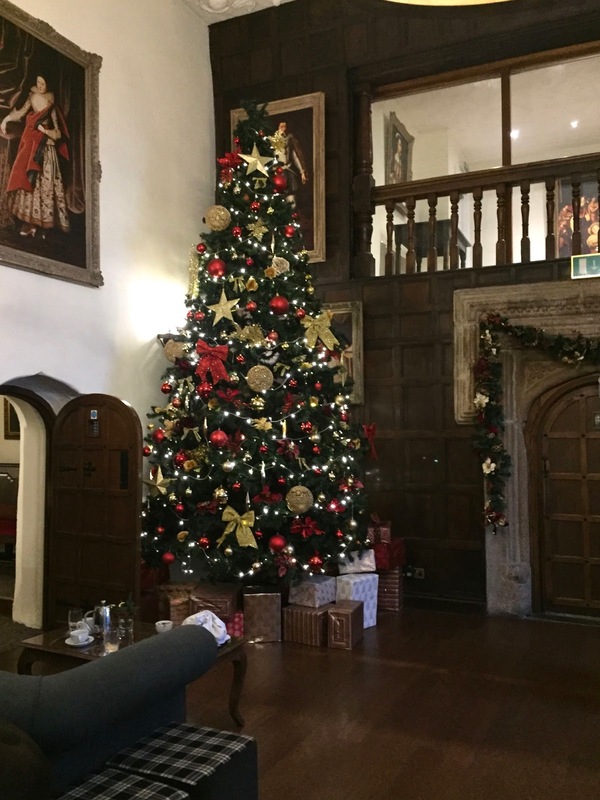 I also had the most wonderful afternoon off having a rather festive little afternoon tea at Boringdon Hall Plymouth. I mean, I like cake and tea anyway, so what’s not to love? My colleagues joke about it, but I really don’t drive further outside of Plymouth. Not even into Plympton which is, LOL Plymouth still. So I’d never even been to Boringdon Hall before which I’m not gonna lie about I’m mad about. It’s situated in the most hidden yet stunning location, it’s easy to find and the grounds are from something of a fairytale. I knew I was gonna like it there. It’s the type of place I always dream I’ll book myself into for a few days of R&R, fascinating company and country walks. Yet to happen, but maybe for Christmas hey? 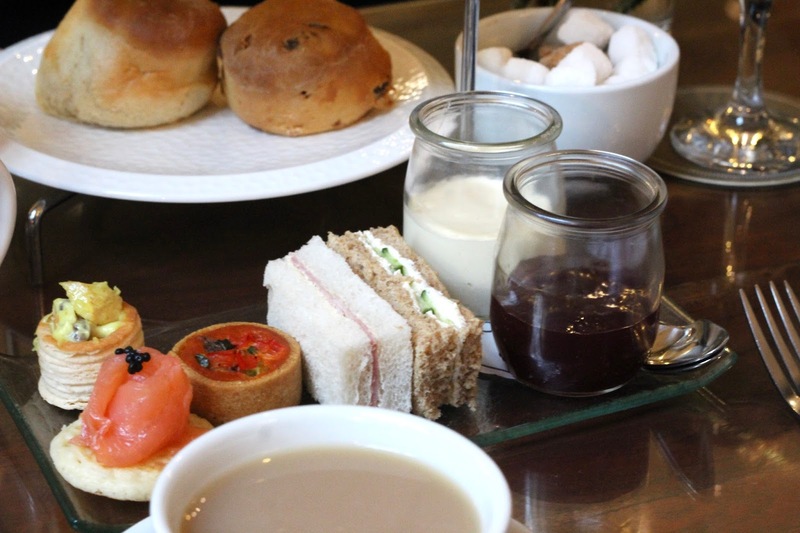 Boringdon Hall are renown for their amazing afternoon teas, a home away from home. They even did a Beauty and the Beast themed afternoon tea earlier in the year which was an obvious hit. The grounds themselves are breathtaking, but the actual dining rooms are something else. Think Hogwarts, but for muggles. We were led into a huge, high ceiling hall which felt more like a cosy country lodge than a dining room. There’s me imagining there being tables and seats like the school canteen. It was home to cosy sofas, roaring fires, and Christmas decorations to top all Christmas decorations. You can promise to get all the festive feels by the time you leave. Once we were seated it was time to get ready for the festive offering. Do wear soft pants, because that top button of your jeans won’t be staying done up for long. This special edition afternoon tea has been individually designed to melt our hearts and warm our bellies during Christmas time. 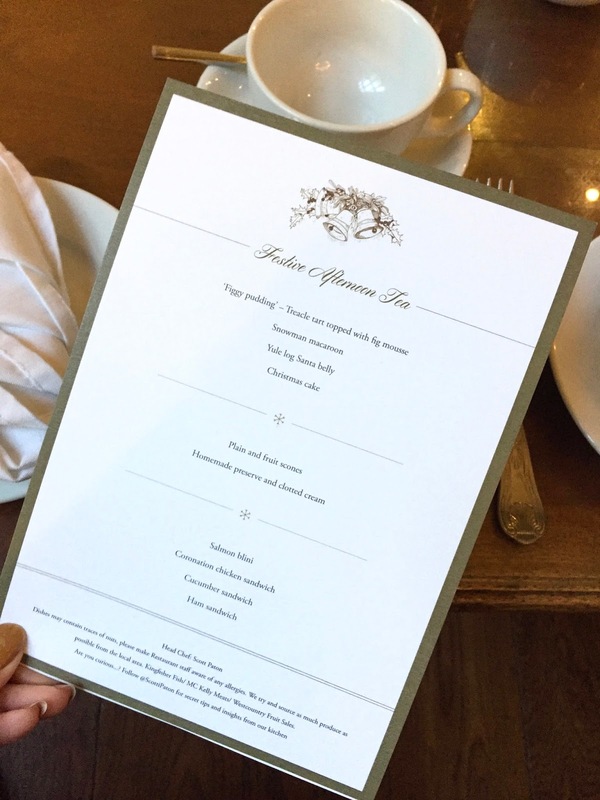 The afternoon tea had a real mixture of your classic Christmas favourites, with an alternative twist. Working from the bottom tier up, the savoury selection included the cutest finger sandwiches, a classic ham sandwich which easily pleased the fussy eater within me, a salmon blini, coronation chicken sandwich and a cucumber sandwich. What more could you want? Let’s face it, for me the afternoon tea is all about the sweet treats. The next layer is a total classic, but favourite in my eyes, a plain and fruit scone with plenty of jam and cream. There’s nothing to see here, apart from the debate that inevitably will unveil, jam or cream first? Saving the best for last. A slice of traditional Christmas cake, which is honestly one of my favourite things about Christmas food, after the mince pies and tubs of cheeselets. Marzipan, icing and all. I loved the twist on the traditional Yule log, which posed as Santa’s belly, fat and chocolatey, just how I like my Yule logs. Without a doubt the real star of the show after the ‘figgy pudding’ was the Snowman macaroon. Ugh, can we just take a moment to appreciate this little guy. It’s something that I wouldn’t have even thought of adding to an afternoon tea. But it bloody works. 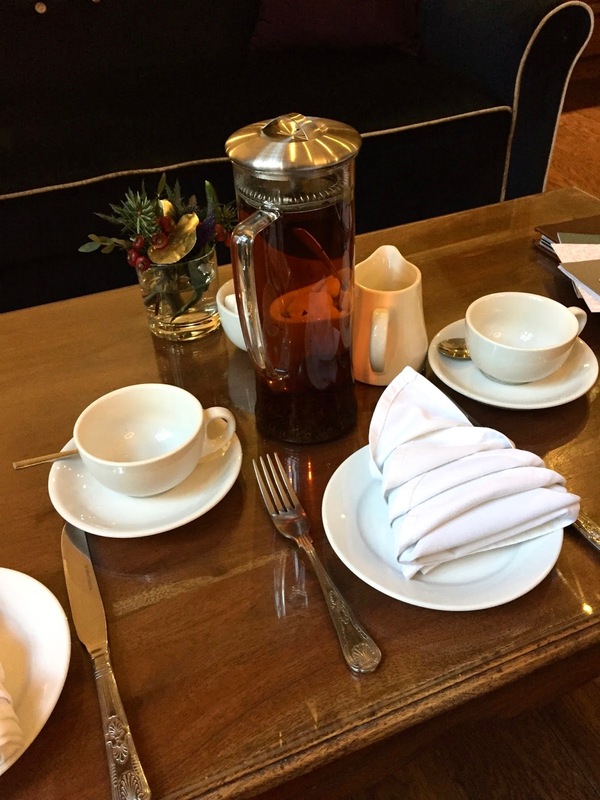 With our tummy’s full of festive food, we could have sat there for hours on end with our mulled wine and tea (there’s at least 61748 different teas to choose from, well, almost). The member of staff was so attentive during our time at Boringdon and the atmosphere was amazing. The time felt so precious there, I would never have thought I was 5 minutes away from the dual carriageway in Plymouth. It was peaceful, beautiful and just everything you need from a relaxing afternoon. It was a mini escape from daily life that I didn’t think was possible at 2pm on a Thursday afternoon. 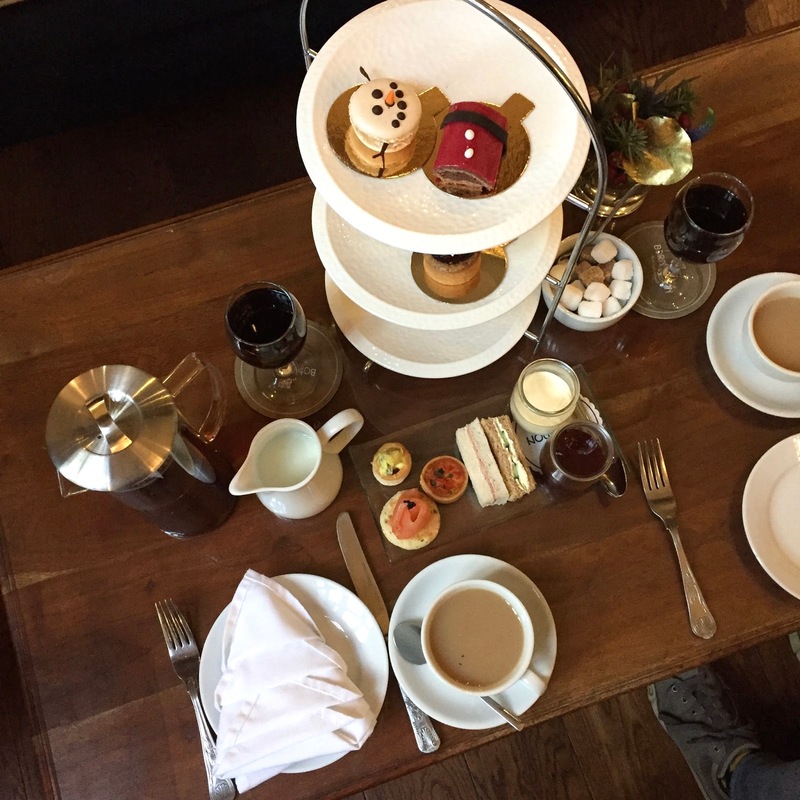 The festive afternoon tea at Boringdon Hall is only here until the 31st December. It’s £30 per person and includes the full feast, with a glass of mulled wine and tea. However, they do a different themed afternoon tea every month, as they understand that we take afternoon tea just as seriously as they do! Have you been to Boringdon Hall before? Do you like going for Afternoon tea?